So I get why so many people are interesting in hacking soda and snack vending machines. 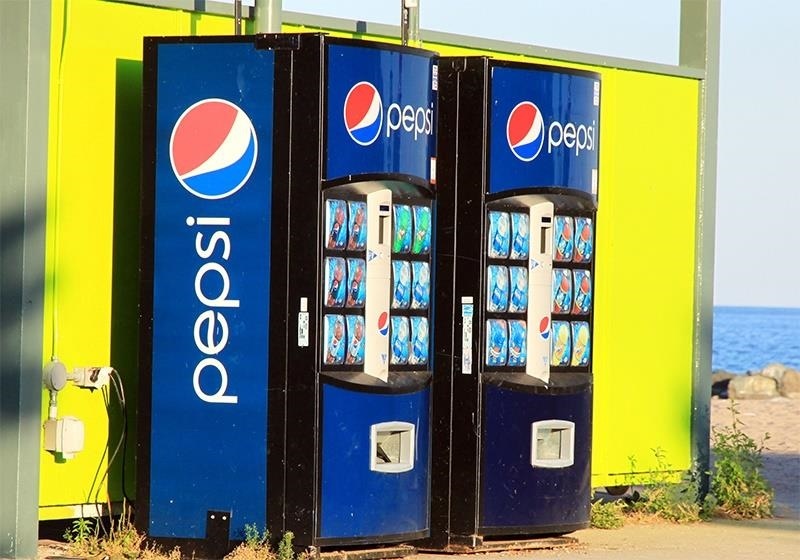 While it could be considered stealing, hacking a vending machine feels more like retribution, punishing it for all those times it did you wrong. But how does one actually hack a vending machine? 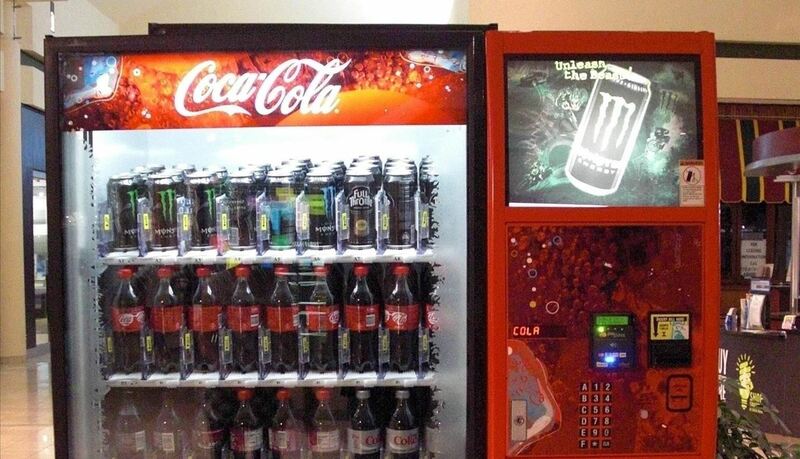 There are many different brands and types of vending machines (coin-op, credit/debit card, contactless (RFID, NFC), etc. ), so there's no Konami code that will work on all of them, and hitting or kicking it will only get you so far. You could use a drill and screw, but only if you want to get caught. For the thief on the go, all you need is some paper money and packing tape. Just like the old coin-and-string trick (which has been shown time and time again not to work), you stick the tape at one end of the bill and insert it into the machine. Once the machine has registered the dollar amount, use the famous pull-out method and you've got yourself a free drink! And if you're feeling especially sinister, forget the drinks and snacks—once the machine has registered a dollar amount, hit the change button. More info here. If it's the dough you're looking for and you're near an older soda machine (Coca-Cola, in this case), look no further. Press the code 432112311, then hold down the change lever until you hear the sweet clinkity-clink of coin raining down. This method is perfect for laundry day when you're short a couple quarters. More info here. Pepsi aren't for everybody, so if you're a Coke fan and come across the conveyor belt machines, this one is for you. Insert money and choose your drink, then stick your hand in the machine and push against the door to confuse it. Once it gives you your money back, keep repeating this process until you have all the drinks you want. More info here. Just like the in the Coke machine hack above, this one requires you to push up on the door (or gate) at the bottom to make it think it didn't dispense anything even though it really did. After a short wait, you can select another item or get a refund with the coin return mechanism. We tried this and it didn't work, so your mileage may very. More info here. Much like the tinfoil/tape process, you can trick a candy machine with a paper or cardboard coin, but realistically, you'll need a fairly old vending machine for this to have a shot (if even then... we're a little suspicious). You can also try this with parking meters as well, but again, most coin mechanisms are too smart for this, but you never know. More info here. Did Any of Them Work for You? While some of these could really work with the right machine, we have our doubts about others. What about you... which ones are real and fake? If you tried any, let us know if you succeeded or not in the comments below (don't forget... if there's no video, then it didn't happen). Great article! Probably the most needed life hack article for the struggling college student. Will these work in the UK? Do you need exactly a packing tape for pull-out method? Or does any kind of tape work? no just as long at the tape has excellent grip and also is clear. I remember using method 3 across two states and five months in 2003 to build up money for buying a camcorder (I was 8 so I didn't have a job). Found out about method 4 in 2007 and used it to get free Pepsi in middle school every day. Eventually administration caught me but they only made me pay for the one soda (not a problem, I just used the money I got from method 3 which was usually used for tapes). i am live in bangladesh .is it work for my country? #2 works in Canada where we have the new Polymer Plastic Currency, you just need to have the tape very secure and doubled up in the tail or handle so that it does not break off. I know of another great way to exploit how banks work with the new Polymer bills if anyone wants to know. Hey Bob, interested in your comment about polymer bills. We have them in the UK. How can we chat?